Dean, College of Sociology, Rikkyo University. Editorial Board Member, Economic and Social Changes: Facts, Trends, Forecast. Director, Center for Statistics and Information, Rikkyo University. Vice Director, Rikkyo Institute for Global Urban Studies. Promotion Council Member, Culture City of East Asia 2019 Toshima. The Sojourner Community: Japanese Migration and Residency in Australia. Leiden: Brill. 2007. Integration of Japanese Residents into Australian Society: Immigrants and Sojourners in Brisbane. Melbourne: Japanese Study Centre, 1993. Toransunashonarizumu [Transnationalism (Key Ideas)], Tokyo: Nihonhyoronsha. 2014. (Co-translator with Nobuko Hosogaya and Kazuhisa Honda in Japanese). Esunishithi, jinshu, nashonarithi no yukue [Future of Ethnicity, Race, and Nationality], Kyoto: Minervashobo. 2003. (Co-translator with Ichiro Watado in Japanese). Gurasurutsu no kokusaikyoryu [Japan’s Internationalisation at Grass-roots Level], Tokyo: Habesutosha, 1996. (Co-author with Purnendra Jain in Japanese). Iminseisaku to tabunkakomyunithi eno michinori [Migration Policies and Path to Multicultural Community], Tokyo: Gendaijinbunsha, 2018. (Co-editors with Katsuo Yoshinari in Japanese). Shimin ga teiansuru korekarano iminseisaku [Citizens’ Proposal for Prospective Immigration Policies], Tokyo: Gendaijinbunsha, 2015. (Co-editors with Katsuo Yoshinari, and Yoshiaki Noro in Japanese). “A Rise and Progression of Migration and Ethnicity Studies in Japan’s Sociology.” The Monitoring of Public Opinion: Economic and Social Changes Journal, No.5: 173-182. 2018 (Refereed). “Urban Regional Developments in Inner City Tokyo: Toshima City Projects and Significant Sites of Local Cultural Heritage.” Shakaigaku kenkyuka nenpo [Bulletin of Sociological Studies] No.23: 7–18. 2016. “The Characteristics of Notable Ethnic Towns in Tokyo.” Gurobaru toshikenkyu [Global Urban Studies] No.8: 49–59. 2015. “Past and Present Situations of Chinese Schools in Yokohama.” Gurobaru toshikenkyu [Global Urban Studies] No.5: 83-93. 2012. “The Growth of Suburban Ethnic Diversity in Post-War Australia.” Gurobaru toshikenkyu [Global Urban Studies] No.3: 17-26. 2010. “Japanese Brazilian Communities in Hamamatsu City: ‘Business Castle Towns’ and Multicultural Directions.” In Shanghai Municipal Commision of Housing, Urban-Rural Development and Management; Guangzhou Housing Ruban-Rural Construction Committee; Office of Science and Technology Sub-Committee of Shanghai Committee of Urban-Rural Development and Management; and Shanghai Coordination Center for World Cities Day. (Complied. ), Selection of Achievement Result for 2017 World Cities Day., Xuelin Publishing House and Shanghai Renmin Press. pp.200-209. 2018. “Japan's Social Cohesion in Relation to Immigration Issues.” In E. Healy, and D. Arunachalam and T. Mizukami (eds. ), Creating Social Cohesion in an Interdependent World: Experiences of Australia and Japan. pp.33-46, Palgrave Macmillan. 2016. “Social Cohesion and the Challenge of Globalization” In E. Healy, and D. Arunachalam and T. Mizukami (eds. ), Creating Social Cohesion in an Interdependent World: Experiences of Australia and Japan. pp.3-31, Palgrave Macmillan. 2016. (Co-author with Ernest Healy, and Dharma Arunachalam). "Osutoraria no iminseisaku - Jinko eizai mondai to tabunkashugi no tenkai [An Australian Immigration Policy: Debate over Population and Economic Issues and Multiculturalism]." In K. Yoshinari, T. Mizukami, and Y. Noro (eds. ), Shimin ga teiansuru korekarano iminseisaku [Citizens’ Proposal for Prospective Immigration Policies], pp.187-199, Tokyo: Gendaijinbunsha, 2015. (in Japanese). "Ijyukenkyu kara mita iminseisaku [Migration Policies from the Perspective of Migration Studies]." In K. Yoshinari, T. Mizukami, and Y. Noro (eds. ), Shimin ga teiansuru korekarano iminseisaku [Citizens’ Proposal for Prospective Immigration Policies], pp.3-18, Tokyo: Gendaijinbunsha, 2015. (Co-author with Yoshiaki Noro in Japanese). “Japanese migrants and their major organisations in metropolitan Australia.” In Alomes, Eckersall, Mouer, and Tokita (Eds), Outside Asia: Japanese and Australian identities and encounters in flux, pp. 136-154, Melbourne: Japanese Studies Centre, 2011. “A New Epoch of Immigration for Japan: Directional Shift in Civic Organizational Support for Newcomer Settlement.” In H. Vinken, Y. Nishimura, B.L.J. White, and M. Deguchi (Eds. ), Civic Engagement in Contemporary Japan: Established and Emerging Repertoires, New York: Springer, pp.101-116. 2010. (Conference Report with Yasushi MATSUMOTO) "International Symposium on ‘The Wind from the Future: Sustainable Urban Development in East Asian Cities.'" Gurobaru toshikenkyu [Global Urban Studies] No.10: 43-48. 2017. (Conference Report with Dharma Arunachalam and Ernest Healy) "The 2015 Symposium on ‘The Challenge of Preserving Identity and Community in Global Cities.'" Gurobaru toshikenkyu [Global Urban Studies] No.9: 31-33. 2016. (Conference Report with Dong-Kyun Im and Wonho Jang) "Locality, History and Culture in Urban Regeneration: 2015 International Conference on Emerging Issues Concerning East Asian Urban Regeneration." Gurobaru toshikenkyu [Global Urban Studies] No.9: 35-37. 2016. (Conference Report with Bruce Wearne) "The Collaborative Symposium on ‘Urban Policies and Local Cultural Heritage in Global Cities.'" Gurobaru toshikenkyu [Global Urban Studies] No.9: 39-40. 2016. (Conference Report with Jian Zhou) "Global City and Local Culture: 2014 International Symposium of East Asian Experiences in Urban Redevelopments." Gurobaru toshikenkyu [Global Urban Studies] No.8: 1-4. 2015. (Conference Report with Yasushi MATSUMOTO) "An Overview of the 2013 International Symposium, “Urban Space, Culture and Community." Gurobaru toshikenkyu [Global Urban Studies] No.7: 1-3. 2014. (Conference Report with Hai YU) "Overview of the 2011 Symposium for Urban Culture and Regeneration in East Asian Metropolises." Gurobaru toshikenkyu [Global Urban Studies] No.5: 1-3. 2012. (Book Review in Japanese) “Henkakusuru tabunkashugi e [Towards the Change of Multiculturalism].” By Y. Shiobara. Shakaigakuhyoron, Vol. 62, No. 1: 127-128. 2011. (Session Report) ”Education on Multi Culture and History.” Studies on Human Migration and Acculturation: Proceedings of the Symposium, pp.xiv-xv. Tokyo: Rikkyo University. 2005. “Sozo no kyodotai to dento no sozo [Imagined communities and invented traditions].“ In Tomoeda, T., Hama, H. and M. Yamada (eds.) Shakaigaku no chikara [Sociology: Concepts and Propositions], Tokyo: Yuhikaku, pp.238-241. 2017. “Kokuminsei [National character/ Nationality]“ (pp.345-346); “Nihonjinron [Japanology/ National character of Japanese]” (p.402); and “Kokusaishakaigaku [Sociology of Globalization/ Transnational relations]” (pp. 579-580), in Ibunkakomyunikeshon jiten [Dictionary of Intercultural Communications]. Tokyo: Shunpusha. 2013. “Osutoraria no indojin [Indians in Australia].“ In (Karashima, N. (General ed.)) Minamiajia o shiru jiten [Dictionary of Knowledge in South-Asia], Tokyo: Heibonsha, p.913. 2002. “Transnational Channels in Central Tokyo: Increase in the Foreign Population and Migrants’ Social Cohesion.” International symposium, The Social Cohesion and Contemporary Urban Communities. Monash University, Melbourne, 2017 March. “The Regional Trends of Japanese Migration: A Focus upon Australia.” Japan in Australia Conference 50 Years of Japanese Studies. University of Queensland, Brisbane, 2016 November. “Overviews on Tokyo.” International Conference, Hope and Despair in Three East Asian Cities: Generations and Classes in Shanghai, Seoul, and Tokyo. Seoul National University, Seoul, 2016 October. “The Characteristics of Japanese Migration to Australia.” International Research and Practice Conference, Humanitarian Foundations of Social Progress: Russia and Modernity. Moscow State University of Design and Technology, Moscow, 2016 April. “Urban Regeneration Policies and Local Cultural Heritages: A Case of Toshima City in Central Tokyo.” at the International symposium, The Challenge of Preserving Identity and Community in Global Cities. Universiti Sains Malaysia, Penang, 2016 March. “Urban Renaissance Development and Municipal Renewal Projects in Inner City Tokyo.” at the International symposium, The Urban Policies and Local Cultural Heritages in Global Cities. Monash University, Melbourne, 2016 February. “Urban Renewal Project and Cultural Heritage: A Case of Toshima City.” at the International Conference, Locality, History and Culture in Urban Regeneration. University of Seoul, 2015 October. “Contemporary Ethnic Communities in Japan: The Characteristics of Inner City Tokyo.” at the International symposium, The Challenge of Preserving Identity and Community in Global Cities. Monash University, Melbourne, 2015 March. “Ethnic Schools in Japan: their Characteristics of the Yokohama District.” at the International symposium, Global Migration and Transnational Activities in the Pacific Rim. National Taiwan University, 2014 October. (With Yuezhong DUAN), “The Effects of the Ethnic Business Enterprise on Local Shopping Mall in Central Tokyo.“ at XVIII ISA World Congress of Sociology, Facing Inequality: A proposal for sociological debate. Pacifico Yokohama. Japan. 2014 July. “The Character of Ethnic Communities in Tokyo: A Case of the Ikebukuro District,” at the International symposium, Socio-Cultural Change in Global Cities, University of Seoul, Korea. 2013 October. “Directional Shift of Japanese Schools in Melbourne.” at the 19th Biennial Conference, Asian Studies Association of Australia “KNOWING ASIA: ASIAN STUDIES IN AN ASIAN CENTURY.” The University of Western Sydney (Parramatta), Australia. 2012 July. “A Civic Movement Assisting in the Settlement of Foreigners in Japan.” at the 38th World Congress of International Institute of Sociology, Budapest, Hungary, 2008 June. “The Right for Residency in Japan: The Debate about Undocumented Foreigners’ Action.” at the 36th World Congress of International Institute of Sociology, Beijing, China. 2004 July. “Japanese Expatriate Communities and their Ethnic Schools in Australian Metropolises” at the 13th Biennial International Conference of the Japanese Studies Association of Australia. Queensland University of Technology, Brisbane, Australia. 2003 July. “Grassroots Strategies for International Exchange: Japanese Municipality Programmes and Activities” at the 35th World Congress of International Institute of Sociology, Krakov, Poland. 2001 July. “Post-War Suburbanisation and Ethnic Diversity in Australian Metropolises” at the 3rd International Conference of Asian Studies Frontier Research Project, Rikkyo University, Tokyo. 2001 June. “Human Movement, Ethnic Schools and the Globalising Economy: Japanese Schools in Australia” at the 34th World Congress of International Institute of Sociology, Tel Aviv University, Israel, 1999 July. “Japan’s New Residents’ Movements in Urban Communities: Activities of the “Asian People’s Friendship Society” at the 9th Biennial International Conference of the Japanese Studies Association of Australia. University of Queensland, Brisbane, Australia, 1995 July. “The Characteristics of Contemporary Japanese Emigration” at the 13th Biennial International Conference of the Asian Studies Association of Australia. Murdoch University, Perth, Australia, 1994 July. “Integration of Japanese Residents to the Host Society of Australia” at the 11th Biennial International Conference of the Asian Studies Association of Australia. Griffith University, Brisbane, Australia. 1990 July. (Chairperson) Session II, Urban Cultural Space and Sustainable Urban Regeneration at International symposium, The Wind from the Future: Sustainable Urban Development in East Asian Cities. Rikkyo University, Tokyo. 2016 October. (Discussant) “A Comparison of Australian and Japanese Immigration Issues.” at Kantoh (Metropolitan) Sociological Society's Theme Session, Inclusion and Exclusion, and the Invited Guest Speaker, Professor Andrew MARKUS (Monash University) presented a paper, “Australian attitudes to immigration and multiculturalism.” Chiba University, Chiba. 2015 June. (Discussant) “Migration Patterns: A Case of Japanese to Australia.” at Kantoh (Metropolitan) Sociological Society's Theme Session, New Development of Economic Sociology and Ethnic/Migration Studies, and the Invited Guest Speaker, Professor Alejandro PORTES (Princeton University) presented a paper, “Immigrant Entrepreneurship, Transnationalism, and Development.” Hitotsubashi University, Tokyo. 2013 June. (Chairperson) “Japan and its Social Health.” at the Conference, To what extent is Japan in decline? at University of Adelaide, Adelaide, Australia. 2009, November. (Paper Presenter) “The Developments of Ethnic Towns in Inner-City Tokyo.“ at The 5th East-Asian Urban Study Symposium, Urban Culture in the Process of Urban Redevelopment: Experience of East Asia, Tongji University, China. 2014 November. (Keynote Speaker) “Multiculturalism in Japan: The Development of Ethnicity Studies of Japanese Urban Communities.” at SSK (Social Science of Korea) International Conference, Keimyung University, Korea, 2012 June. (Paper Presenter) “Directional Shifts in Yokohama City's Chinese Schools.” at the International Symposium, “Urban Culture in the Process of Urban Regeneration: Learning from East Asian Experiences,” Tongji University, Shanghai, China, 2011 November. (Lecture in Japanese) “Ijyu no shakaigaku [Sociology of Migration].” at the Seminar of the Hope Connection, Grattan Gardens Community Centre, Melbourne, Australia. 2010 June. (Paper Presenter) “The Japanese Population in Australia's Major Cities.” at the Symposium, Japanese Communities in Transition: Australia 2010. at Japanese Studies Centre, Melbourne., Australia. 2010 March. (Lecture) “The Singaporean Characteristics of a Japanese Community in Global-City State.” at the Staff Seminar of Faculty of Arts and Social Sciences, National University of Singapore. 2010 January. (Lecture) “The Debate about Ethnically-Oriented Social Changes in the Central Tokyo with Particular Focus upon the Ikebukuro District.” at Japanese Studies Centre, Melbourne. 2009 October. 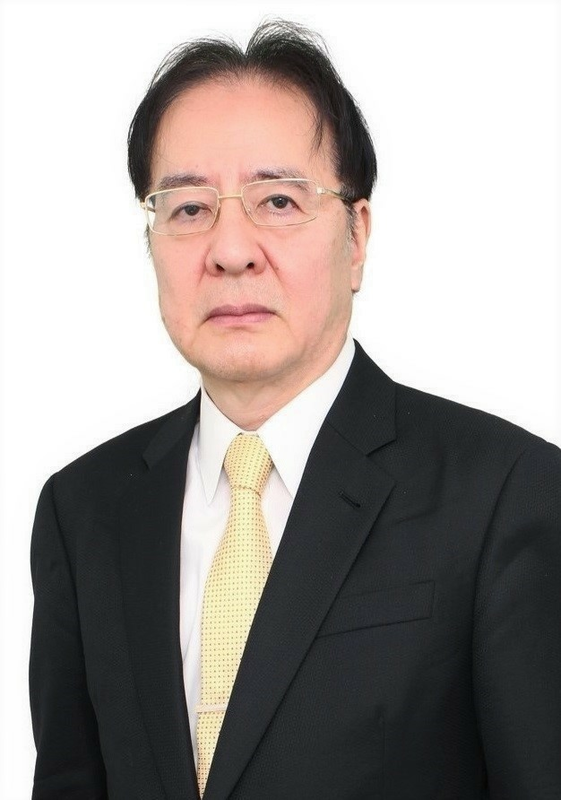 Director, Rikkyo Institute for Global Urban Studies (2014 April - 2016 March). Doctorate Course Head ( College of Sociology), Rikkyo University (April 2015 – March 2016). Director, Rikkyo Institute for Peace and Community Studies (2013 April - 2015 March). Undergraduate Course Head (Department of Contemporary Culture and Society), College of Sociology, Rikkyo University (April 2013 – March 2015). Honorary Senior Research Fellow, Faculty of Arts, Monash University, Melbourne, Australia (September 2009 - August 2010). Supervising various graduation theses and seminar classes, including ethnicity issues, multicultural societies, and immigration policies. Organising Committee Member, International Symposium on Current Status and Prospects of Sociology in Asia, 50th anniversary, College of Sociology, Rikkyo University, Tokyo, October 2008. Organising Committee Member, International Symposium on Human Migration and Acculturation in the Pacific Rim, at Niiza Campus, Rikkyo University, July 2007. Copyright © 2017-2018 Tetsuo MIZUKAMI All Rights Reserved.